Whole life insurance is a type of insurance that lasts your entire lifetime and has fixed payments. As long as you pay your premiums, your whole life insurance policy will stay in place. Unlike other insurance options, whole life insurance premiums don’t increase with your age and includes an investment option that accrues cash when you pay into it. Whole life insurance is known by other names such as “straight life insurance” or “ordinary life insurance.” When you’re searching for a policy, be aware that you might see whole life insurance referred to by one of these terms. In contrast to term life insurance which expires after a set period of time, whole life insurance is permanent, lasting for your “whole” life. Several types of whole life insurance policies are available. Typically, whole life insurance gives you fixed periodic premiums. Depending on your specific situation, you may view this inflexibility as an advantage or a disadvantage. On one hand, it can be easier to budget if you know exactly how much your premium payments are going to be. On the other hand, there is no way to lower or change your premiums if your financial situation changes. Whole life insurance policies are comprised of a death benefit and a cash value component. The payout upon the insured’s death, commonly called the death benefit, is usually also a constant figure. A portion of the money you pay into the whole life insurance policy every month is saved or invested. This benefit means your insurance policy will accrue cash value that can be paid out at different times. You can borrow from this cash value of your insurance policy tax-free while you’re still alive and once you have died, your beneficiary will receive the death benefit minus the amount you borrowed (if you didn’t pay it back while you were alive). The fixed nature of whole life insurance is a draw for some people. Once you have decided upon the specifics of a policy, you do not need to think about changing the death benefit amount or the premiums that you pay, like you may have to with universal life insurance. You also don’t need to select your own investments as you would have to do with variable universal life insurance, or to renew your policy, as you would with term life insurance. If this predictability don’t suit your life insurance needs then whole life insurance may not be the best choice for you. As you review whole life insurance quotes, you’ll need to figure out which whole life insurance policy option is best for you. Participating whole life insurance: This policy is usually offered by mutual insurance companies. The policyholder will receive dividends as a cash payment, reduced future premium payments or deposited into an account to compound at a specific rate. Non-participating whole life: This policy may have lower premiums than other types of whole life insurance but you will not receive dividends. Single premium whole life: You’ll pay a one-time, lump sum immediately at the start of your policy. This is popular with older people looking for a cash-deferred investment option. 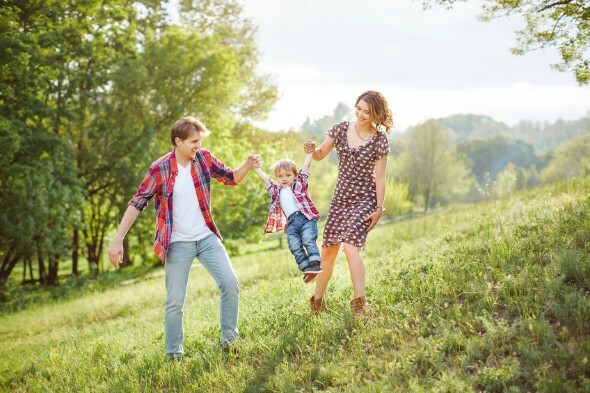 When determining what amount of whole life insurance is best for you, you should weigh the pros and cons of each one with what best fits your lifestyle and reasons for purchasing life insurance. Because whole life insurance is permanent i.e. it lasts for your whole life, the premiums may be higher than they are with term life insurance. Whole life insurance is one of the most popular life insurance policies available. Because of its popularity, many insurance companies offer whole life insurance quotes online. You can quickly get a solid estimate of what a whole life insurance policy would cost you per month. In order to receive an insurance quote, you’ll need to provide certain details about yourself. Be prepared to enter your zip code, address, date of birth, gender, height, weight and possibly your email address. You’ll likely need to answer questions about your health status and personal habits, including whether you’re a smoker or not. Other factors that could affect your whole life insurance quote include your driving record and occupation. In order to figure out the insurance coverage that works best for your particular situation, you should consider factors like your age, your salary, how much you have in savings and funeral costs. In part, life insurance is meant to provide payment to beneficiaries when an individual dies. As such you may need to consider the specifics of your family, like if you’re married or divorced, how many children you have, their ages and if both you and your spouse work or not. Planning ahead and thinking about financial decisions you intend to make later in life can be helpful when you’re trying to decide between the options for a whole life insurance policy. You will need to consider what benefits are most important to you in a particular policy, as well as any potential drawbacks. A life insurance calculator can help to figure out how much life insurance you need. Guardian Life Insurance Company of America, MassMutual, MetLife and Mutual of Omaha are some of the biggest providers of whole life insurance. Guardian Life Insurance Company of America, MassMutual and MetLife all give you a policy with the potential to earn dividends, whereas Mutual of Omaha has three varieties of whole life insurance to choose from and a children’s whole life insurance option. If you’re looking for an investment option with your insurance policy, New York Life Insurance Company has a custom whole life policy that is designed to build cash value faster. Or if you need a policy that gives you the flexibility of multiple payment lengths, check out Northwestern Mutual.